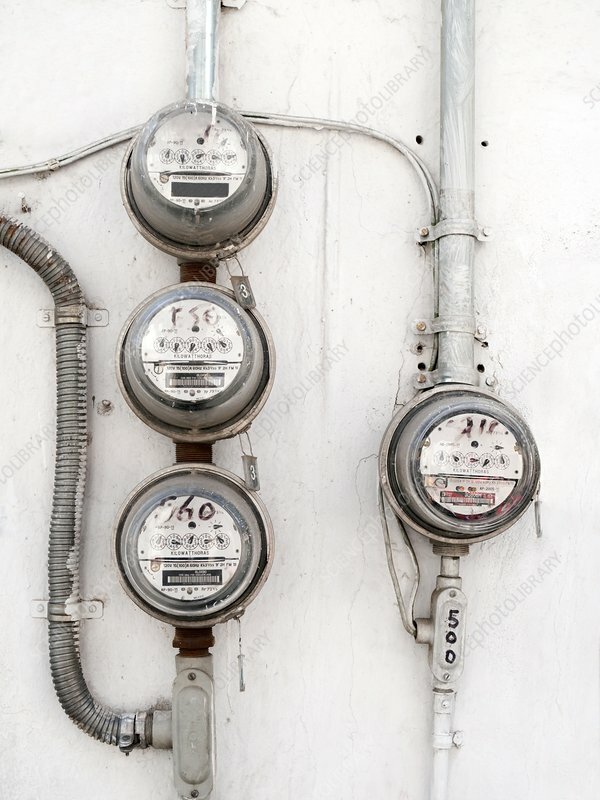 Electricity meters. These domestic meters are used to record the amount of electricity used in homes, with the amount recorded in units of power (here, kilowatthours). The electrical supply is 120 volts of alternating current (AC voltage), at a frequency of 60 hertz. Photographed in 2010, in Mexico.